2012 will be the start of a new a beginning for Mark and Gary Weyhrich’s TSCO racing program. The brothers have decided to open their own shop and race home in East County, California. When the location is secured, this 10,000 sq. ft building will be the new home of TSCO Racing. It will be a state of the art race prep & fabrication facility for their stable of Desert Trophy Trucks, and Luxury Raptor Prerunners. For the first time, they will be handling the race prep of their vehicles. This means ending a long-standing relationship with Stewarts Raceworks in Santee. Craig Stewart and the team at Raceworks has been the main hub for TSCO’s race program for well over 12 years. They have prepped and prepared winning race vehicles for the Weyhrich’s race team admirably, allowing 3 BITD class one championships, countless class victory’s, and many overall victory’s in both Score & Best in the Desert Races. Their value in allowing this team to succeed cannot be understated. 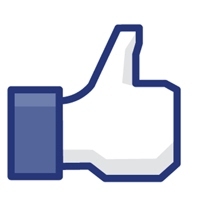 Their support, will allow a smooth transition to a independent race program. Stewarts Luxury Prerunners are the best in the industry and will continue to guide the brothers on their pre-race excursions in Baja, and the States. Heading up the new race shop, TSCO has hired John Vance to oversee and run the TSCO Racing operation. John is the perfect addition to the race program puzzle. His past racing experience will provide the leadership needed to allow the TSCO team to continue as a first class racing entity. John has been with MasterCraft Racing for the past year which ran both Desert races and Lucas Oil shortcourse races in 2011. John was also a General Manager with Jimco Racing for many years, and was instrumental in the design program for their winning class one and truck developments . His skills as a leader, as well as design and fabrication, will allow the TSCO Racing team to have continuing success. Winning races cannot be accomplished without great race prep. 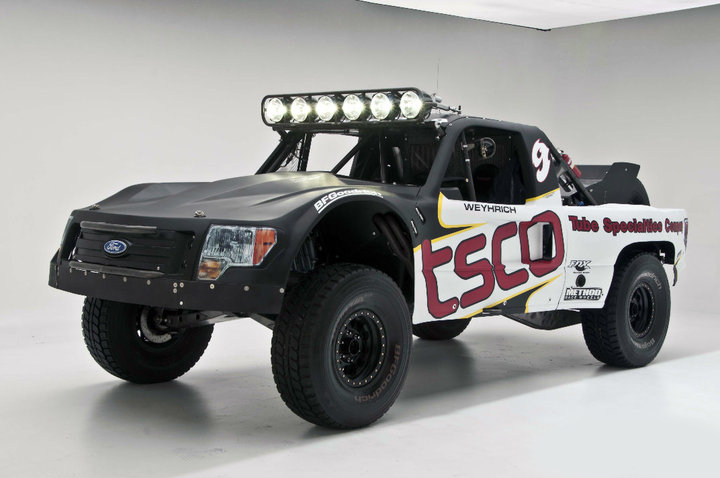 For that, TSCO has hired Ryan “Chow” Williams to continue his role as lead prep on the race truck program. Ryan’s dedication to the TSCO team has been unwavering. He continues, year after year to provide a top notch truck that is capable of winning race after race. His duties as head mechanic will continue, and his on going experience as the lead co-rider will allow the Weyhrich’s confidence to build, knowing they have a safe and competitive race vehicle. Ryan’s work allowed the Wehyrich’s to win a Toyota Milestone Award this year for completing every mile of every Score race in 2011. With top 5 finishes in every Score race this year, except for the 1000, his position on the team is invaluable. The TSCO Team proudly finish 3rd in the SCORE Trophy Truck Points Championship. Hired last year, Michael “Bear” Baranowski , will continue his pit vehicle management, crew liaison and other team involvement with day to day race operations. Also, The Weyhrich’s could not do this without the continued support of their valuable volunteer crew. Each member’s dedication and commitment has been an incredible reason this team is capable of winning each time they race. The Weyhrich’s are committed to providing the best equipment, and this will continue to allow the crew to progress, improve and prosper. John Vance has chase crew aspirations that will allow the TSCO crew to be the best in the business. He has experienced crew members that will be joining the TSCO team making them even stronger. 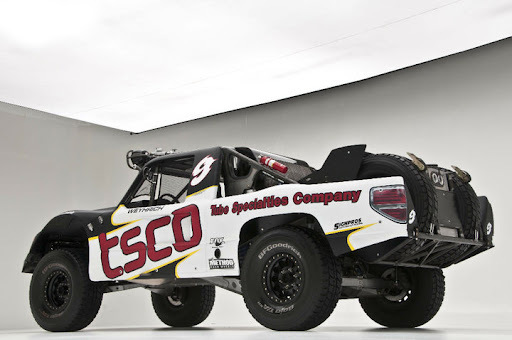 With the excitement these big changes bring, The Weyhrich’s and the TSCO Racing Team look forward to another successful desert racing season in 2012 and beyond. Watch for the #9 and #98 in next years Score and BITD series. Credits / News release Team TSCO Racing with phone permission by Michael Baranowski.